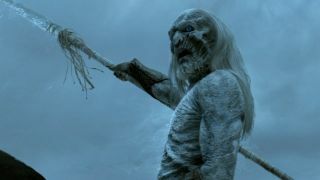 A major Game of Thrones season 8 character will only appear in four episodes of the final season - but who is it? We knew the end was coming in Game of Thrones season 8 – but it might be coming even sooner than we imagined for one major character. While a big death hasn’t been confirmed, this news, fresh off the back of this particular person appearing in the last 15 episodes in a row, seems to speak volumes about where they’re going to end up when all is said and done. Are you ready? Possible MAJOR spoilers inbound. You have been warned. According to The Hollywood Reporter’s newsletter (H/T Harper’s Bazaar), Nikolaj Coster-Waldau (better known as Jaime Lannister to you and I) is receiving a whopping $1 million per episode – but is only appearing in four out of the final six episodes of Game of Thrones season 8. That… doesn’t sound promising. At this point, if you’re out of the show, there’d better be a damned good reason for it. Let’s not sugarcoat it: we’re talking deaths here. While Jaime may yet walk off into the sunset, a (relatively) early demise for one of the show’s best-loved characters may keep us on our toes as we hurtle into the endgame. Of course, this doesn’t mean it has to be a death. Characters often come and go – with many key figures being glossed over for episodes at a time – due to the tight constraints of trying to fit everything in. Never has that been more pronounced that cutting Game of Thrones season 8 down to six episodes. Still, here’s hoping that, instead of Jaime shuffling off his mortal coil, he’s just milling about elsewhere while the action goes down in another part of Westeros and might still make it back for the grand finale. Please? *Someone* might not be making it - but that doesn't mean you can't have a look over what the cast has to say about the Game of Thrones ending, right?